Productivity was a major reason to select LANSA in 2000 and still the reason to move forward with Visual LANSA. Allied Beverage Group, LLC, New Jersey's leading distributor of wines and spirits, provides a LANSA-based web solution to its customers and sales representatives. The site, developed with the help of LANSA business partner Strategic Business Systems, offers sophisticated facilities for ordering, managing retail incentives, customizing ShelfTalkers and access to accounts receivable, invoice images and product content. Rafael Ramos, CIO at Allied, says, "The wine and spirits industry is extremely competitive and just offering aggressive pricing is not enough. You have to excel in service as well. The site helps us to enhance our level of service to our customers. Our initial motivation was not online ordering, it was about delivering timely and accurate information to our customers." Easy access to information helps better serve customers, providing a competitive advantage for Allied. Allied Beverage Group, LLC ("Allied"), as it is known today, was created by the mergers of three leaders of the wholesale wine and spirits industry in New Jersey, dating back to the repeal of prohibition in 1933. 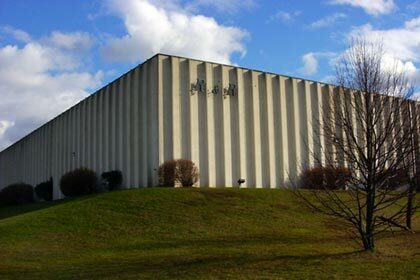 Allied has emerged as New Jersey's largest and most comprehensive wine and spirits distributor and ranks among the ten largest such distributors in the United States. Allied represents the product lines of the world's leading suppliers of beverage alcohol and related products, as it services the needs of licensed package stores, restaurants, hotels, taverns and clubs. Ramos explains that Allied needed to find a better way of communicating with customers and sales staff. "Sales Marketing Consultants (SMCs) are responsible for the compilation and entry of purchase orders, the delivery of assorted point-of-sale material such as ShelfTalkers and window signs for off-premise accounts. And at on-premise accounts, they work directly with the food and beverage managers or restaurant owners to create customized wine lists. "The SMC's are also responsible for getting the marketing message across to our customers, including what new products are available, key brands which we are promoting for the month, pricing changes, incentive programs and wine tasting events that are taking place." "Our sales force of 120 skilled individuals each has an average of 60 to 100 accounts, so during the course of a week it is difficult for them to stay in touch with all their accounts." "Without impacting on the SMCs, we wanted to provide our customers with a vehicle to obtain marketing data, access improved Retail Incentive reporting, order online and receive alerts to missed opportunities such as additional discounts and incentives along with order confirmation." "After evaluating a number of products, we selected LANSA to Web-enable existing applications. LANSA's repository-based 4GL development environment made web-enabling our existing iSeries applications simpler than other products. We did not want to hire specialized web developers, so the relative ease of retraining our RPG-skilled staff in LANSA was also a big plus," says Ramos. LANSA's repository-based 4GL development environment made web-enabling our existing iSeries applications simpler than other products. The LANSA solution integrates with legacy business applications and delivers real-time data to customers and staff. LANSA business partner Strategic Business Systems, provided an initial framework for the site and served as mentors to Allied's development team. In the later stages of the project a graphics designer was hired to brand the site. "We have a very long term relationship with Strategic Business Systems. They have provided us with professional services, application software and IBM iSeries hardware for a variety of projects. They have been there when we needed them and had an important role in the development of the website." "We started without any content," explains Ramos. "We were primarily a green-screen environment and product descriptions were for internal use only. With a portfolio of approximately 3,800 SKUs it took time to create web-friendly content and to capture product images." "So we developed a LANSA-based content management system to provide marketing with an easy tool to enhance catalogue items, index product images and publish information about campaigns and events." "The site also has multi-media capabilities, customers can click on an icon to play media files stored in the IFS on the iSeries. In the product database, there are audio files for correct name pronunciation. Customers can design their own ShelfTalkers online, using a palette to drag and drop text and ratings onto a template for local printing," says Ramos. "The moment a customer registers on the site a 'Quick List' is created with a history of items previously purchased," says Matthew Portsmore, senior web developer at Allied. "In that customized product catalogue the system shows product information, inventory levels, number of cases purchased this year versus last year, with a link to monthly purchases for that item, plus links to wine ratings and suppliers' websites." "Before confirming an order, the customer can request an order recap, online or by email, that lists the consolidated incentives, discounts and order amounts. The confirmation assists the buyer in making a more cost effective purchase." "Customers can review and adjust their orders on the website, even if their order was originally placed via EDI, fax, voice response system or by an associate. So all customers can take advantage of the sophisticated online order confirmation process to maximize their discounts and rebates," explains Portsmore. "The sales force can also go online on behalf of their customers, toggle between accounts and view totals within their account base. Our long term vision is to provide a fully integrated portal solution to enhance our relationship with our customers," adds Ramos. Customers can review and adjust their orders on the website, even if their order was originally placed via EDI, fax, voice response system or by an associate. "The wine and spirits industry is extremely competitive and just offering aggressive pricing is not good enough. You have to excel in service as well. The site helps us to enhance our level of service to our customers," says Ramos. "Our initial motivation was not online ordering, it was about delivering timely and accurate information to our customers." "The website is available 24x7 which allows our sales force to connect to the system from their home, office, or while on the road. The easy access to information helps them to better serve their customers, providing a competitive advantage for Allied." "We can now deliver rich content, accurate pricing, incentive information and inventory levels on a timely basis to all our customers. It is an alternative way of providing service, which is becoming very popular among our customers, because of its around the clock availability and easy navigation." "The website can answer many of our customers' questions with just a few clicks, increasing the amount of time the sales force can spend providing high quality services." "By providing easy access to orders, incentives, accounts receivable and scanned delivery documentation, our customers are able to use these resources to reconcile their financial records." "We have improved the accuracy in our ordering process by providing our customers with a sophisticated self-service tool for entering and checking orders. This will reduce the number of phone calls needed between our customer service department and the customer," says Ramos. Over 1100 customers have registered since the site débuted in November of 2003. Allied's goal is to triple the number of accounts in the next six months. We can now deliver rich content, accurate pricing, incentive information and inventory levels on a timely basis to all our customers. "LANSA's centralized business rules avoid the need for redundant and repetitive code between programs," concludes Ramos. "The repository provides an enormous productivity and maintenance benefit that simplifies the code in programs. LANSA allowed us to extend our existing iSeries system to the web with relative ease." "We recently transferred our LANSA for the iSeries development licenses to Visual LANSA. Visual LANSA is an easier transition for our staff as they move from RPG to a visual environment and lets them develop programs for iSeries, web and Windows." "Visual LANSA has become a viable alternative in the Visual Development arena while using existing RDML knowledge." "We have four developers, primarily with RPG skills. I want to be able to continue to support our legacy environment while updating our development skills." "Productivity was a major reason to select LANSA for the iSeries in 2000 and productivity is still the major reason to move forward with Visual LANSA," says Ramos. Productivity was a major reason to select LANSA for iSeries in 2000 and still the reason to move forward with Visual LANSA. Allied Beverage Group, LLC is New Jersey's largest and most comprehensive wine and spirits distributor and ranks among the ten largest such distributors in the United States. Allied represents the product lines of the world's leading suppliers of beverage alcohol and related products, as it services the needs of licensed package stores, restaurants, hotels, taverns and clubs. Strategic Business Systems, a LANSA, Microsoft and IBM Business Partner based in Ramsey, New Jersey, is a leading provider of information systems since 1982.